Kona… Hilo… Waikoloa… Where Should I Stay on Hawaii’s Big Island? Hawaii’s Big Island (Hawaii Island) is HUGE compared to the other Hawaiian islands. So, it’s important you know you’re way around and know which area is the right fit for your ideal vacation. If you’re wondering: Where should I stay on Hawaii’s Big Island? We have a grid to help you out! Perfect For: Families, singles, LGBTQ, couples. For families, the “Kona-side” has a variety of resorts and accommodations to fit all budgets and needs. Although the hotels in Kona lack some of the expansive grounds you’ll find in Waikoloa, you can still enjoy a quality hotel with lots to do for kids, such as well-maintained pools and beach access. Singles will love the area’s many bars, pubs, and microbreweries — local singles often frequent the area’s fun venues. Although Kona is steeped in tradition, you’ll find that the town embraces all! So, the LGBTQ community will feel right at home. As for couples, you’re not far from the Four SeasonsHualalai, an extravagant yet private resort not far from the Kona Airport. Not Perfect For: Visitors who hate crowds. Kona is the most populated city on the Big Island, and the main streets in town can feel a bit crowded if it’s happy hour. If you’re looking for a more “spread-out” feel to your vacation, you’ll want to consider another area. Kona is a hot-spot for visitors looking for an exciting nightlife and fun bars and restaurants. Things To Do: Whale watching tours are highly popular on the Big Island, as are helicopter tours and luaus. However, one of the neatest activities I ever did in Kona was the Manta Night Snorkel and Dive, during which you’ll actually swim with the manta rays (so what if I clung to the boat and never even got near one!). Dinner cruises, dolphin swims, and scuba tours are all available in Kona. But, remember to book your excursion through Hawaii Aloha Travel. Only by doing so can you take advantage of deeply discounted rates! 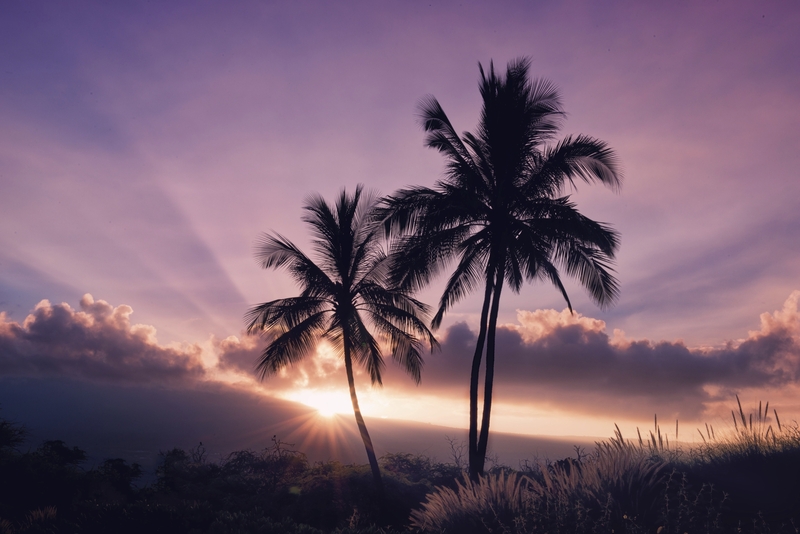 Nearby Attractions: Kona is steeped in history, and you can learn about the area’s rich past just by walking through town. The oldest church in Hawaii, Mokuaikahua Church, still stands. 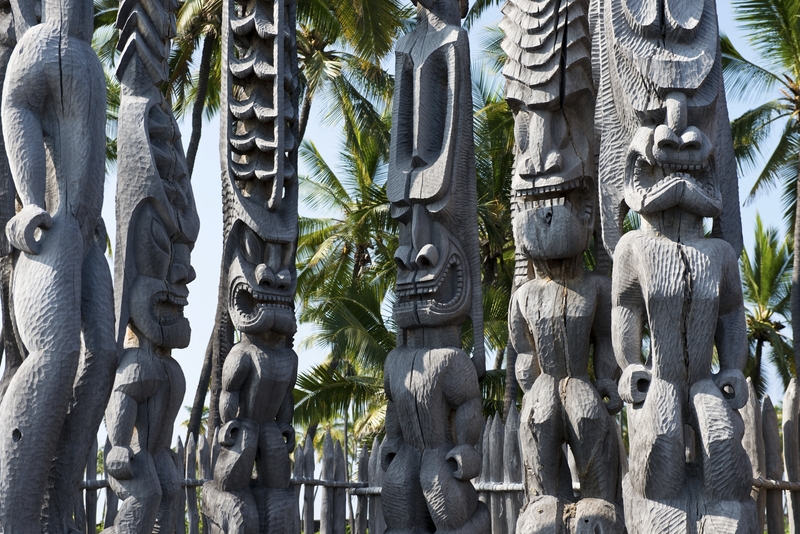 You can also head to Puuhonua O Honaunau National Historical Park is about a 20 minute drive south. And, you may want to spend some time in Keahou, another “mini” resort town, which offers swimming, golf, and shopping. Puuhonua O Honaunau National Historical Park is about a 20 minute drive heading South from Kona. Perfect For: Families, some couples. Hilo is mostly a residential city and is the Big Island’s County Seat. It’s never been touted as a “resort” area, due to its lack of approximation to the beach and lack of accommodations. BUT, visitors will love the proximity to Hawaii Volcanoes National Park. A lack of nightlife will turn many singles away, but families and couples may like the smaller crowds and “touristy” attractions. Not Perfect For: Visitors looking for a resort town when they stay on Hawaii’s Big Isalnd. Hilo is highly residential, and you’ll notice right-away that the town doesn’t cater to visitors as Kona and Waikoloa do. Akaka Falls is in close proximity to Hilo. So, if you're staying on the East side of the Big Island, a visit to the area should be on your to-do list. Things To Do: Hilo is lush and tropical, which lends itself perfectly to nature hikes and outdoor adventures. Try ziplining through the rainforest or head out to Richardson Beach Park to enjoy the tranquil ocean. 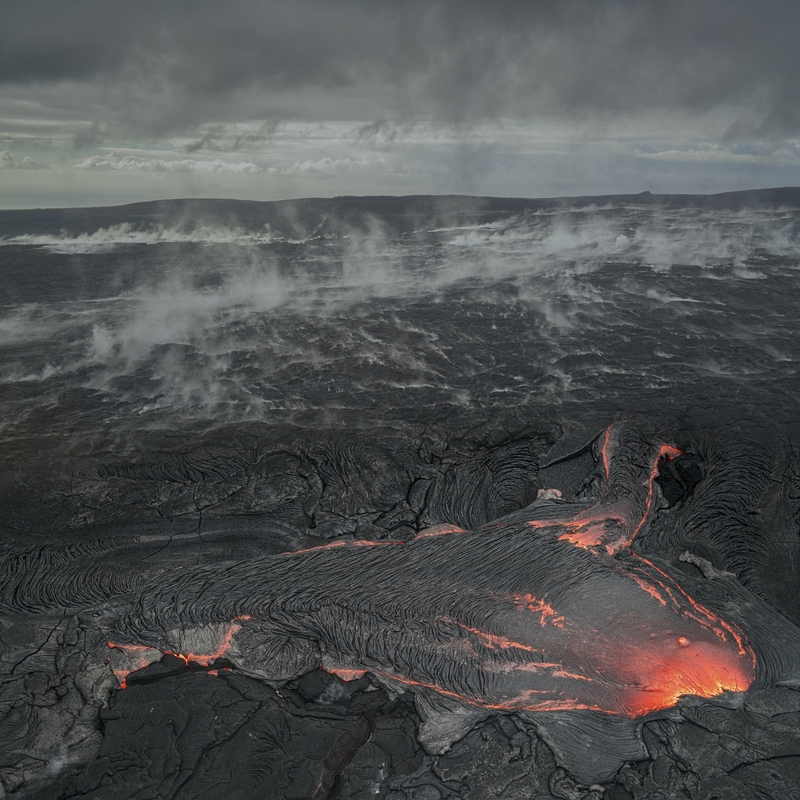 Helicopter tours to the volcano often begin in Hilo, so staying here be convenient if your main motivation for visiting the Big Island is seeing Hawaii Volcanoes National Park. Nearby Attractions: Speaking of Hawaii Volcanoes National Park, it’s only about a 40 minute drive. So, most folks who stay in Hilo take advantage of the short drive. 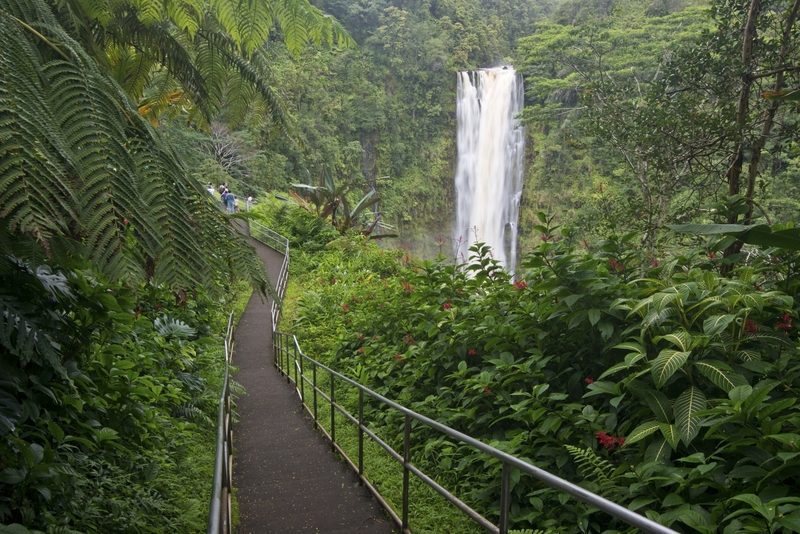 Other attractions include Akaka Falls, Rainbow Falls, and Coconut Island. By the way, it’s only about an hour 14 minutes to Mauna Kea, compared to an hour and 40 minutes from Kona. Perfect For: Families, couples. Waikoloa is the ultimate beach resort with expansive resorts and fantastic lodging. So, it’s the ideal place for families of all sizes, since you can also book a timeshare condo, as well as a hotel room. Couples can enjoy luxe spa treatments and romantic dinners on resort grounds, or head to Kona for a beach-side cocktail. Singles will be hard-pressed to find a hoppin’ nightlife, however, and I’ve found little information about Waikoloa as an LBGTQ hot spot. It will take you about 40 minutes to drive from Hilo to Hawaii Volcanoes National Park, but it's worth the drive! Not Perfect For: Those looking for a party atmosphere or ample singles outlets. Waikoloa can be somewhat quiet, especially after-hours. So, if you’re looking for a party, you may want to head to Kona. Things To Do: Anaehoomalu Beach is one of the most beautiful beaches in Hawaii, as is Hapuna Beach (which is just up the street from Waikoloa). You can head to the Punaluu Black Sand beach, but it will take you a while (2 hours and 22 minutes) to get there. Whale watching tours leave from Anaehoomalu Bay, and there are ample opportunities to surf, bodyboard, stand-up paddle board, or take a sunset cruise. Nearby Attractions: One of my favorite places on the Big Island is Kawaihae, which features some neat art galleries, restaurants, and hang-outs. The main attraction here is the 83-acre Puukohala Heiau, an ancient war temple built by King Kamehameha the Great. Another attraction near Kawaihae is Pua Mau Place, a botanical garden on the western slope of the Kohala Mountain. If you plan to stay on Hawaii’s Big Island, you’ll need to know which resort area is right for you — we hope our grid helps you decide!